Store managers could be set to gain more than just sales from these customers in the future, however, thanks to a combination of camera, sensor, computer vision and deep learning technology beginning to penetrate the trillion-dollar retail sector in order to revolutionise the way customers shop in stores – all while capturing a swathe of data on their shopping behaviours, item preferences and the amount of remaining stock on the shelves. This could soon be set to change, however, as this year a number of new, futuristic stores have been established across the US that are using an array of ceiling-mounted cameras, sensors, computer vision and deep learning algorithms to automate the way customers pay for products. In these stores, customers no longer have to queue up and pay for their items using a standard checkout system; instead they are simply billed automatically as they exit the premises, according to whichever items they have picked up and kept during their trip. This extraordinary development has been made possible due to the combination of vision, sensor and deep learning technology being able to keep track of individual customers and detect exactly what items they pick up after they enter and move throughout the store. A personal online shopping cart is created and continuously updated for each customer as they accumulate items during their visit, which is then automatically purchased and charged to a pre-existing online account as they leave. The first of such stores to open in the US was Amazon’s first ‘Go’ store in Seattle, Washington, at the start of the year, which has since been followed by two further stores in Seattle and another in Chicago, Illinois. The shops operate using hundreds of overhead cameras – which initial patent filings suggested could include depth sensing cameras, RGB cameras, and infrared sensors – in combination with weight sensors, computer vision and deep learning algorithms. Together, the systems are able to identify exactly when and what items are picked up or placed back on shelves by individual customers, enabling their Amazon accounts to be billed accurately as they leave. Amazon is considering a plan to open up to 3,000 of these stores across the US by 2021, according to media outlet Bloomberg, which would make it one of the largest retail chains in America. Meanwhile, however, in San Francisco, California, a number of budding startups are racing to develop their own take on cashier-less technology in pursuit of a bigger prize. Rather than looking to compete with the 155,000 convenience stores in the US by introducing their own chain of automated stores, the firms are looking to augment the existing stores with their own suite of computer vision technology. 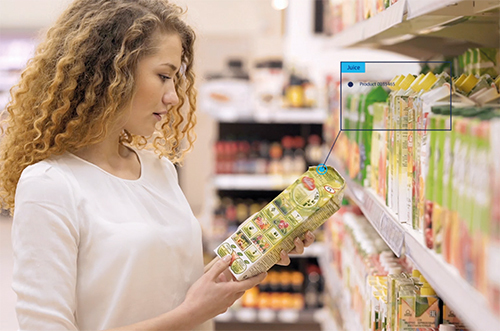 Standard Cognition, for example, hopes to equip convenience stores with its solution that, unlike Amazon’s, relies solely on camera technology – without needing additional sensors – to track individual customers and items around the premises. According to the firm, this makes the technology scalable, reduces its operational complexity and the amount of required maintenance, and enables a lightweight installation process that causes minimal disruption to the store – it can be done overnight and without having to rearrange any shelves or products. The firm raised a total of $10.6 million across three separate funding rounds between August 2017 and July 2018, and is now demonstrating its solution at a prototype store open to the public in San Francisco. Not only is Standard Cognition’s camera network capable of tracking multiple customers each picking up individual items, but the solution can also identify when multiple items have been picked up simultaneously by individual customers; detect when items have been put down by customers around the store (and remove these items from their online shopping cart); and identify when items have been passed or even thrown between customers. In doing this, the solution also produces a wealth of data on customers’ shopping preferences and behaviour for the retailer to examine. Trigo Vision’s highly sophisticated algorithms enable it to offer a cashier-less shopping experience using simple IP cameras. Standard Cognition assures that this data is captured anonymously and without collecting any biometric information – such as facial recognition data – from customers. Each year US retailers experience $130 billion loss in profit due to cashier-related overheads and shrinkage such as shoplifting, administrative errors and damaged goods. In addition to rising minimum wages and rent, on top of already thin profit margins, many retailers are struggling to compete with larger chains and online options such as Amazon, and could eventually go out of business. The firm announced in July that it is installing systems for multiple retailers around the world, with the first revealed as Paltac – the largest Japanese wholesaler of fast-moving consumer goods and over-the-counter drugs, which has over $8.6 billion in annual revenues, and services thousands of retail stores across the country. ‘When we show them what Standard can do with very little hardware and no scanning at all, they are generally blown away,’ Suswal added. Also in San Francisco, another startup, Zippin, which as of August had secured $3 million in seed investment, has opened a prototype store to demonstrate its cashier-less concept, which like Amazon’s uses shelf-based sensors, in addition to cameras, to confirm purchases. Meanwhile, AiFi, another startup and a finalist at this year’s Vision Tank Award – bestowed by the Embedded Vision Alliance – also has plans to open a very large demo store in the San Francisco Bay Area later this year. AiFi’s cashier-less technology solution combines a network of sensors and ‘sophisticated camera technology’, which it claims can adapt to any size of store and track hundreds, or even thousands, of shoppers and products using low-power mobile devices and edge-based processing. Additionally, a fourth startup, Aipoly – also based in San Francisco – is, like Standard Cognition, developing a camera-only cashier-less store concept. The firm trains its system by using a simulated environment to generate data of a store and its products. ‘All we have to do is place each product inside a machine for five minutes, and voilà, the AI will learn to identify it in all plausible situations,’ the firm explained. Lastly, a fifth startup in the San Francisco Bay Area, Inokyo, has also opened a prototype store to demonstrate its solution and gather data in order to train its AI technology. For this concept, however, rather than using weight sensors on the shelves – as Amazon Go does – to confirm whether a product has been taken, Inokyo instead equips its shelves with another set of cameras, adding them to those already on the walls of its shop. Trigo Vision is also targeting a scalable cashier-less solution that can be implemented in retail outlets, ranging from small convenience stores to large supermarkets. To do this it is using cameras that are both basic and affordable, in order to minimise cost and enable a swift and simple deployment. ‘We are using basic IP cameras without any sophisticated technology, primarily for scalability and cost-effectiveness,’ Beilin confirmed. In order for the cameras of the machine vision industry to penetrate the cost-sensitive retail market, the cost of the technology has to first come down, according to Fischer at Basler. 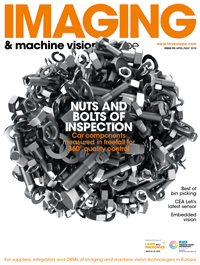 According to Mark Williamson, managing director of corporate market development at Stemmer Imaging, for 3D imaging cameras such decreases in cost are already underway, thanks to a recent increase in the use of 3D imaging in mobile phones that has resulted in the mass production of powerful image processing chips. ‘Intel have developed an ASIC that can perform image processing that they are producing in high volumes and selling to mobile phone companies for applications like facial recognition, such as the functionality in the new iPhone X,’ Williamson explained. This mass-production allows the price of the ASIC to be brought down, which in turn brings down the price of the cameras using it. Stemmer Imaging was recently appointed as a supplier for Intel’s Realsense technology product line, a range of vision processors, depth cameras, and depth modules that together offer a combination of depth sensing and full colour HD images via Intel’s high-performance, mass-produced ASIC chips. One particular Realsense system that Williamson believes has a future in retail is the Intel Realsense D400, which comprises a pair of stereo infrared cameras combined with a pattern projector and an additional RGB camera. Released in January, the D400 – through its use of low-cost ASIC technology – is available at £170 as a house product and below £100 at the module level, making it much more suitable for retailers looking to deploy the technology in multiple instances. ‘With the D400 Intel are looking to get the price point down, enabling it to be very disruptive and have applications everywhere,’ Williamson commented. ‘The camera delivers 3D data in full HD at up to 90fps. A lower cost rolling shutter version is also available, along with a higher cost global shutter version for fast-moving objects.’ These cameras could all be very significant in the retail sector, according to Williamson, especially for producing rapid results when identifying what products are being picked off a shelf. ‘I think that this could be very interesting for retail, going forward,’ Williamson continued. ‘I’m aware of a lot of research departments within supermarkets that are exploring this sort of technology. They’ve started off by trialling more automated checkouts and hand-held scanners, but they need to investigate in a different way to work out the best options for automating their retail experience. ‘I think that with the high level of quality that can be achieved with modern 3D sensing technology, in addition to the price point that it is coming down to, [it] gives the potential to open up massive opportunities in the food [retail] industry. Retailers in the US and UK are expected to trial an age verification vision system at checkouts for customers buying age-restricted items. NCR, a technology firm specialising in financial transaction hardware, has integrated a camera-based age verification platform that uses facial recognition software into its self-checkout system. The US and UK retailers will trial the solution in the coming months. The self-checkout’s built-in camera system, with age detection technology from Yoti, can estimate a customer’s age and flag any customers determined to be under the required age limit for a product. This threshold is configurable by the retailer and is generally ten years above the legal limit.